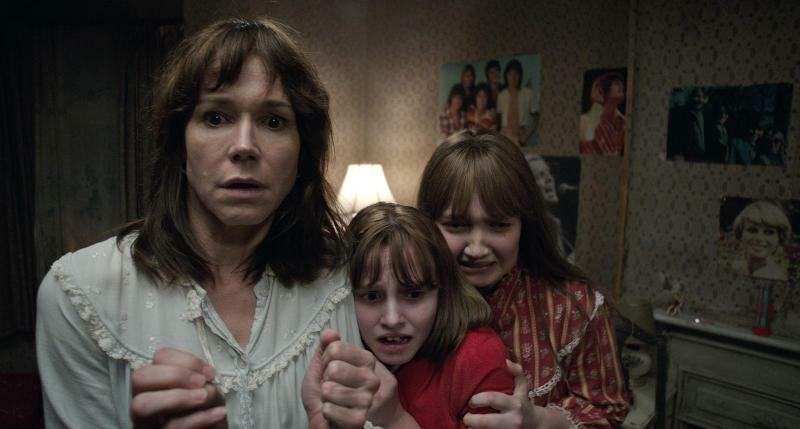 MANILA, June 6, 2016 – As a treat to horror fans, Warner Bros. has announced that the year’s most eagerly awaited horror thriller “The Conjuring 2” will have special midnight screenings on Thursday morning, June 9 at 12:01AM in selected theaters at regular admission prices. “Fans of the horror genre are one of the most appreciative and expressive moviegoers out there, and holding midnight screenings for `The Conjuring 2′ is our way of enhancing their movie-watching experience,” says Francis Soliven, General Manager of Warner Bros. Philippines. The movie has been rated R-13 with no cuts (only patrons 13 years old and above will be admitted). The participating theaters (in alphabetical order) are: Abreeza Davao, Alabang Town Center, Century, CommerCenter, Eastwood, Evia, Fisher Mall, Gaisano Davao, Glorietta 4, Greenbelt 3, Newport, Power Plant, SM Aura, SM Clark, SM Fairview, SM Mall of Asia, SM Megamall, SM Pampanga, StarMall Alabang, StarMall EDSA, StarMall San Jose, Trinoma, Vista Mall Sta. Rosa and Vista Mall Taguig. (Please check your favorite theaters for updates, if they’re not on this list as of presstime). Opening across the Philippines on Thursday, June 09, “The Conjuring 2” is a New Line Cinema presentation and is distributed by Warner Bros. Pictures. Previous story New Posters for Suicide Squad Spells FUN and CHAOS!